The famous Leaning Tower of Piza is not the only leaning tower in the world. 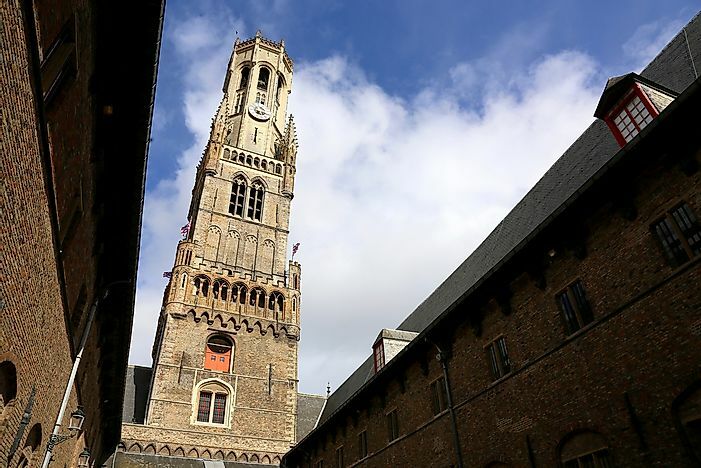 The Belfry of Bruges, one of the world's lesser known leaning towers. Leaning towers are more than just magnificent - they are buildings that defy the basic concept of architecture. Most of the ancient leaning towers lean unintentionally due to poor foundations and materials. America's leaning tower in Niles, Illinois. 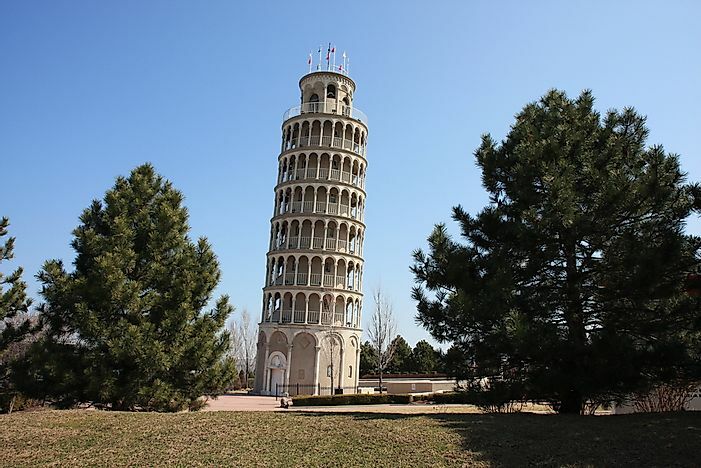 The Leaning Tower of Niles is located in Niles, Illinois, and is similar to the Leaning Tower of Pisa. In fact, many speculate that Robert Ilg built the tower in 1934 to celebrate the 600th anniversary of the Learning Tower of Pisa. It is half the size of the Tower in Italy with a total height of 94ft, 28ft in diameter and leans 7.4ft from the vertical position. The tower was constructed on a 22-acre park to conceal the water tower that serves the two swimming pools located within the park. It has exhibited signs of aging and requires constant renovation to keep it standing. St. Mark's Campanile - Italy's other leaning tower. 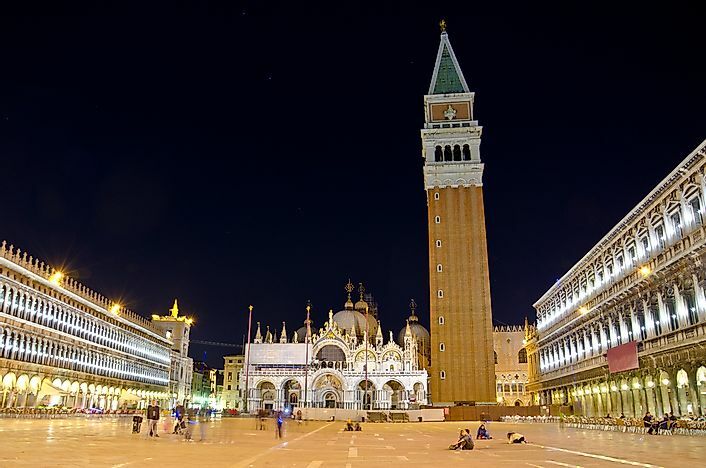 St. Mark's Campanile in Venice, Italy, stands on the corner of St Mark's Square. It is 323 ft. tall and has a 39ft square base. 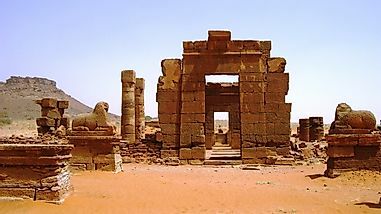 The construction of the initial building began in the 9th century as a watchtower but collapsed in 1902. The current tower was constructed in 1912 and adheres to modern construction regulations for greater safety and stability. Five bells are housed on the belfry located at the top of the tower. The belfry is topped by a cube with alternate faces portraying the female representation of Venice, and the Lion of St. Mark. A pyramid spire with a golden weathervane representing archangel Gabriel caps the tower. The leaning Elizabeth Tower in England. The Elizabeth Tower in London, England, was previously known as the clock tower. It is popularly referred to as Big Ben although the name was intended for the great bell of the clock located at the top of the pillar. The clock designed by Ian Westworth and is considered one of the most accurate four-faced clocks in the world. 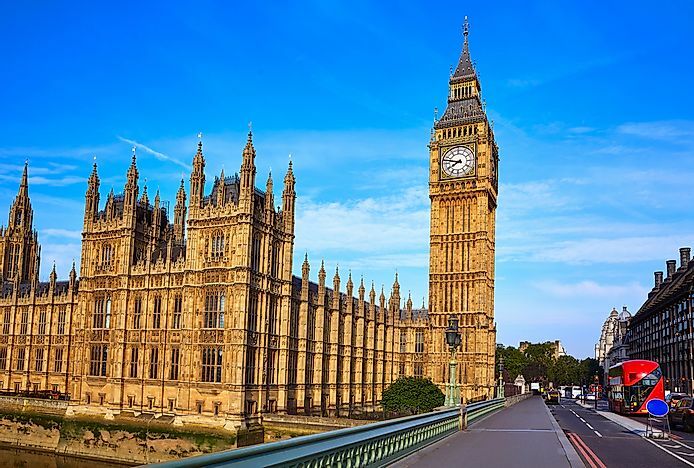 The tower stands at the north end of the Westminster Palace and is a landmark of London and England. The 315ft tall tower was built as part of the Westminster Palace after the initial parliament was burned down in 1934. The tower stood upright until 2011 when engineers realized that it was slowly leaning either because it was sinking or settling into the land it was built on. Engineers estimated that at the rate it is leaning, the tower is not close to the tipping point and it may take 4,000 years to reach the angle of the leaning tower of Pisa. The leaning tower of Nevyansk. The Leaning Tower of Nevyansk in Nevyansk, Russia, was built in the first half the 18th century with several historians suggesting that it was built between 1721 and 1745 by Akinfiy Demidov although it was funded by Peter the Great. The 189ft tall tower has a 31ft square base and has deviated 7ft 3in from the right angle. The intended purpose of the tower is not known although evidence in several rooms appear to suggest that it was used for "secret work." Legend has it that that an architect intentionally inclined the tower to face Demidov's birthplace in Tula. The leaning tower of Torun. The Leaning Tower of Torun in Poland was constructed in the 13th century as part of the town's defense. The red bricked tower was used as a female prison in the 18th century before it housed a gunsmith and blacksmith in the 19th century. Engineers believe that the tower leaned because it was constructed on loam soil that could not withstand its weight. 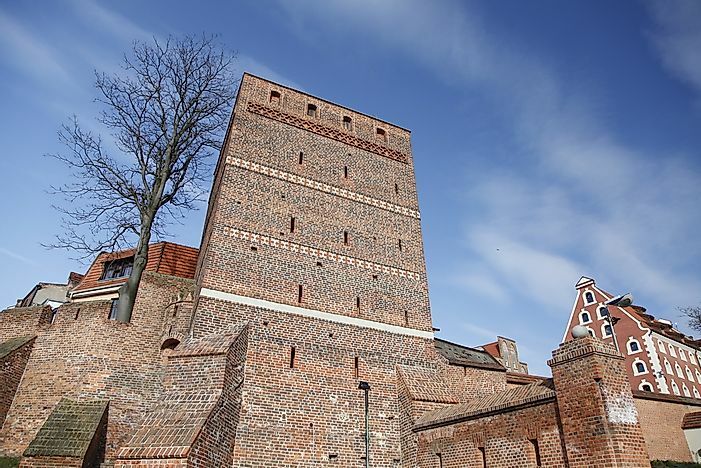 The 49ft tall tower has leaned four feet 11 inches from its vertical position and is a significant landmark of Toruń's Old Town. Two towers in Bologna, Italy. 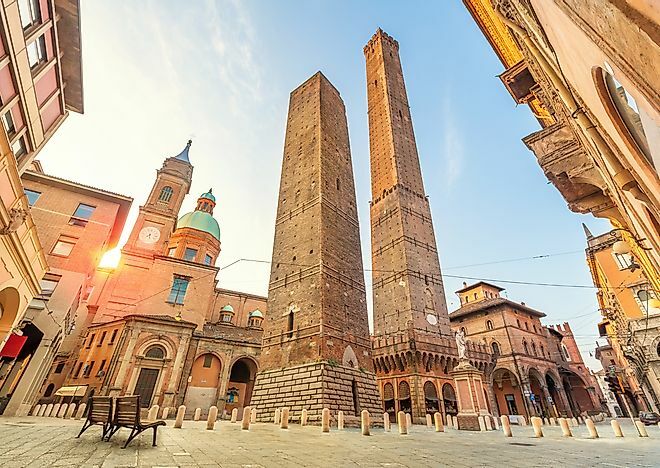 The two towers in Bologna, Italy, are among the many medieval towers found in the city. The taller tower (Asinelli) and the shorter tower (Garisenda) are both leaning, but the shorter tower is more inclined. The taller tower is 319 feet tall while the shorter tower is 157.5 ft tall. They were both constructed in the early 12th century. Several fires ignited by lightning razed the taller tower severally until 1824 when a lightning rod was installed. The two neighboring towers are located at the intersection of the roads leading to the gates of the old ring wall. Leaning tower in Suurhusen, Germany. 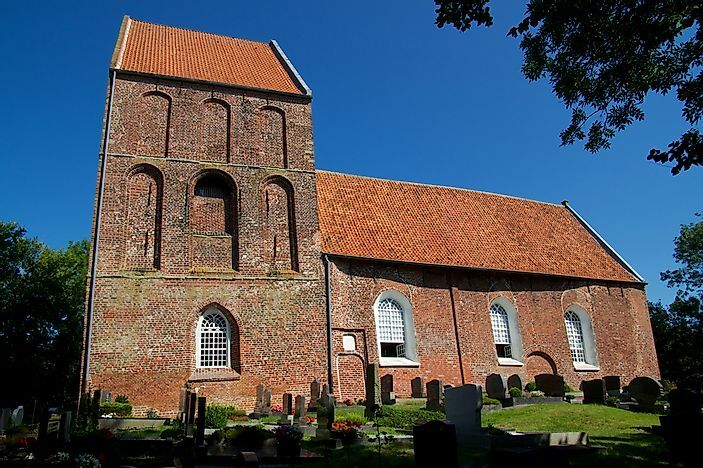 The Leaning Tower of Suurhusen in Germany holds the Guinness World Record as the most unintentionally tilted tower beating the Tower of Pisa by 1.220 and only plays fiddle to Abu Dhabi's Capital Gate tower that was intentionally tilted. The tower built in the 14th century is 89.8 ft tall and leans at an angle of 5.19°. It occupied the space left after the Evangelical Reformed Church was shortened and its foundation was built on the trucks of Oak trees preserved by underground water. In the 19th century, the water was drained causing the trunks to rot, and the tower tilted. The leaning Belfry of Bruges in Belgium. 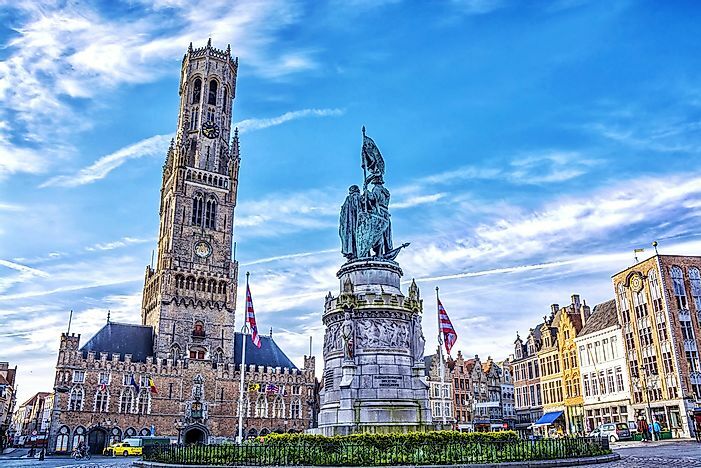 The Belfry of Bruges in Belgium came into being when a belfry was constructed on top of the market square in 1240. The 272 foot tall building was razed by fire severally. In 1741 a wooden spire on the building summit was burned down and was never rebuilt, making the current tower shorter than it initially was. The bells in the belfry dictated the everyday life of the city dwellers before specific bells were placed to indicate the hour mark. The tower leans 87 centimeters to the east and is open to the public for a fee. The Leaning Tower of Teluk, Malaysia. 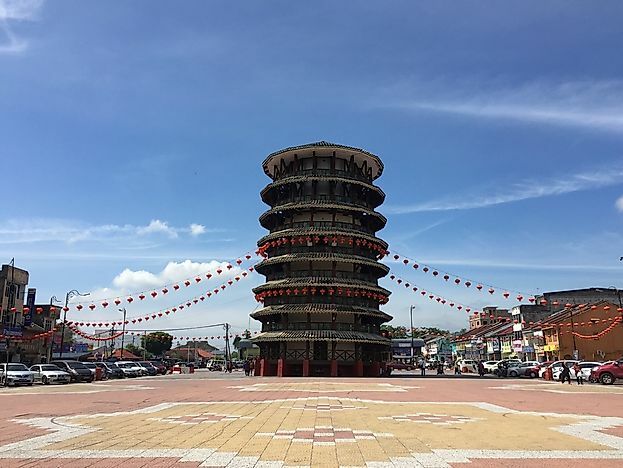 The Leaning Tower of Teluk Intan in Malaysia was constructed in 1885 by a Chinese contractor Leong Choon Chong. The 83.7 foot tall eight-story tower resembles the Leaning Tower of Pisa although it is divided into three parts. A clock that chimes every 15 minutes was fitted on the upper quarter of the building. The tower was built to store water for use during the drought season. The tower leans because it was constructed on soft soil as well as the weight of the tanks. The leaning Giant Wild Goose Pagoda of Xi'an, China. 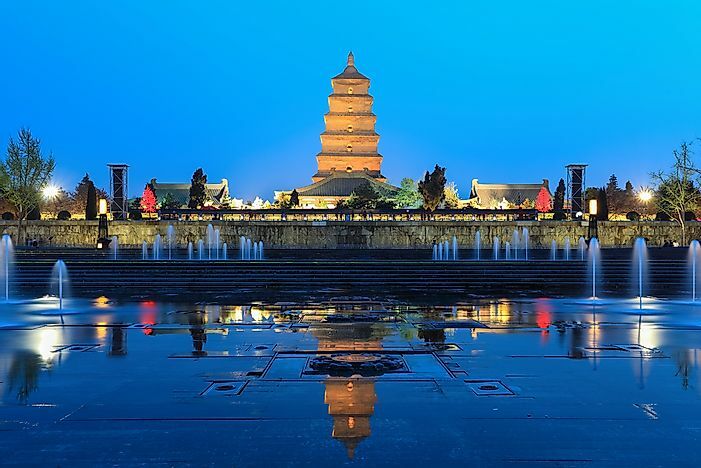 The Giant Wild Goose Pagoda in China was initially built in 652 before it was rebuilt in 704. 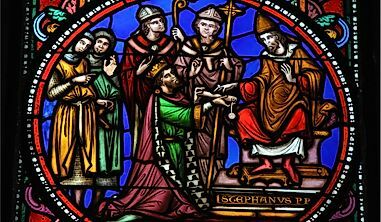 It initially had ten stories before it was hit by an earthquake which reduced the stories to its current seven. 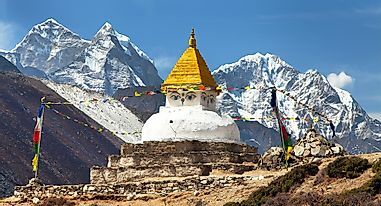 The 210ft Buddhist pagoda leans to the west. 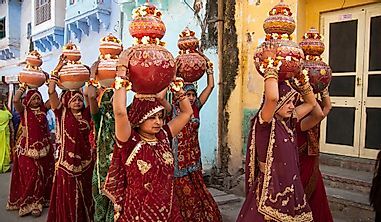 Its stories are squared, and size of each story decreases with increase in altitude.